Paige Davis is a mindfulness trainer, entrepreneur, author, and cancer survivor. She facilitates mindfulness and meditation programming designed to enhance communication, productivity, and managing high-demand situations with more clarity, compassion and creativity. She’s worked with a variety of companies including Facebook, C3 Presents, Whole Foods Market, Austin Community College, and Texas Department of Transportation. Paige is also co-founder of social impact brand, BlueAvocado. The company’s thoughtful designs and creative solutions invite people to live a greener, simpler, and more mindful life. Her work has been featured in the Huffington Post, MindBodyGreen, Ozy, Health, and Mindful Magazine. She is a Master Trainer for the MMI Mindfulness@Work™ Program through Mclean Meditation Institute and author of Here We Grow: Mindfulness Through Cancer and Beyond. Paige created Soul Sparks as a destination to inspire and empower anyone looking to create a meaningful and accessible approach to living a more mindful life through meditation + mindfulness programs. Learn about all the proven benefits of meditation including improved focus, productivity, and resilience here. Paige received a BA in Journalism and Environmental Science from the University of Indiana and holds certifications from the Western School of Feng Shui and Pilates Center of Austin. She is a contributing writer for The Huffington Post, Ozy, Mind Body Green, and several specialty publications. She is author of the book Here We Grow: Mindfulness Through Cancer and Beyond published by She Writes Press (May 2018). Learn more about workplace offerings here. Soul Sparks programs are created using meditation + mindfulness tools and techniques that can help anyone cultivate a practice that fits their personal lifestyle and sparks transformation from the inside out. Soul Sparks was originally created 15 years ago as a personal collection of inspirational quotes that Paige Davis compiled in an informal booklet and shared with friends and family. The inspiration to bring Soul Sparks to its next iteration initially came from a thoughtful gesture from Paige’s cousins during her breast cancer journey in 2013. During the entire 6 months of Paige’s chemotherapy treatment, the family arranged to have fresh flowers delivered weekly accompanied with an inspirational quote. 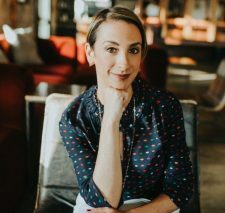 This, along with Paige’s daily practice with mindfulness, meditation and visualization as key components of her healing journey were the catalysts to spark Paige’s “new normal” and ultimate next generation of Soul Sparks. Inspired to share her connection to living a more mindful existence with others, Paige is delighted to empower others to discover + reveal their inner light. Check out Paige at the WELL conference in Austin, Texas geared towards empowering wellness in the corporate environment. Check out this 15 minute talk with a bonus guided meditation at timestamp 5:30.